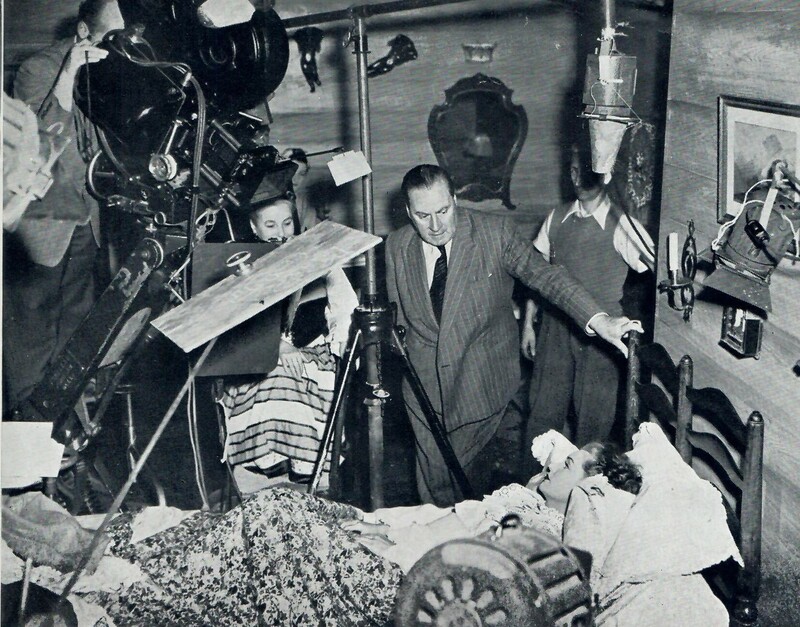 Filming The Womans Angle 1952 – BELOW Edward Underdown starred in the long forgotten drama directed by Leslie Arliss. 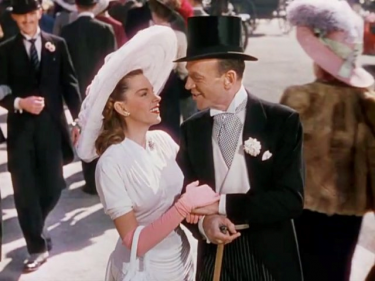 American actress Cathy O’Donnell also has a leading role and Anton Diffring is seen briefly as an Alpine dancer, looking as if he’s thoroughly enjoying himself. 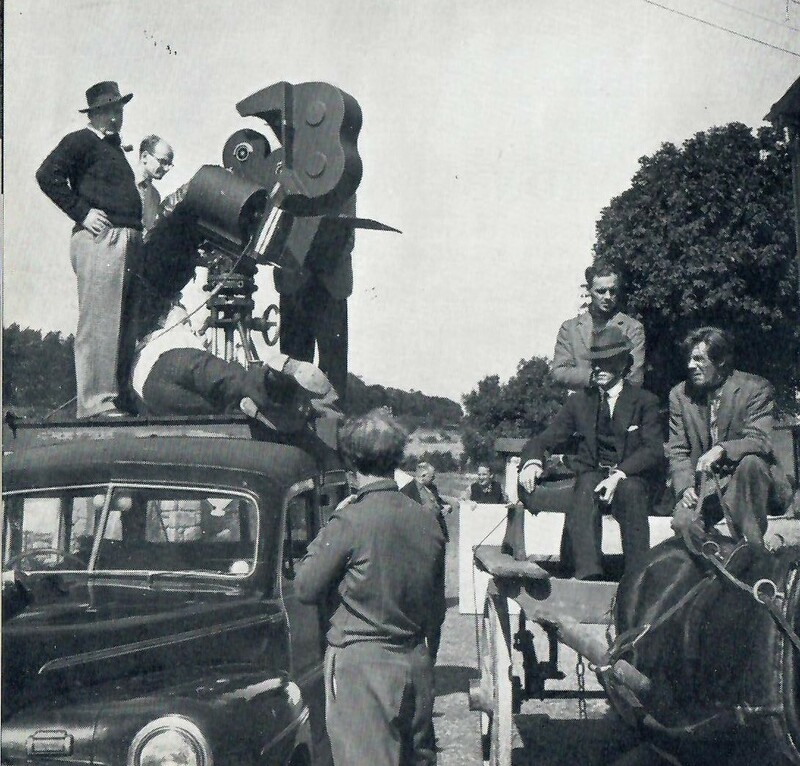 In one review of this film there was a quote as follows :- Great as it is to see lots more British films of this vintage becoming available, in this case it is no surprise it languished unseen and forgotten for sixty years. 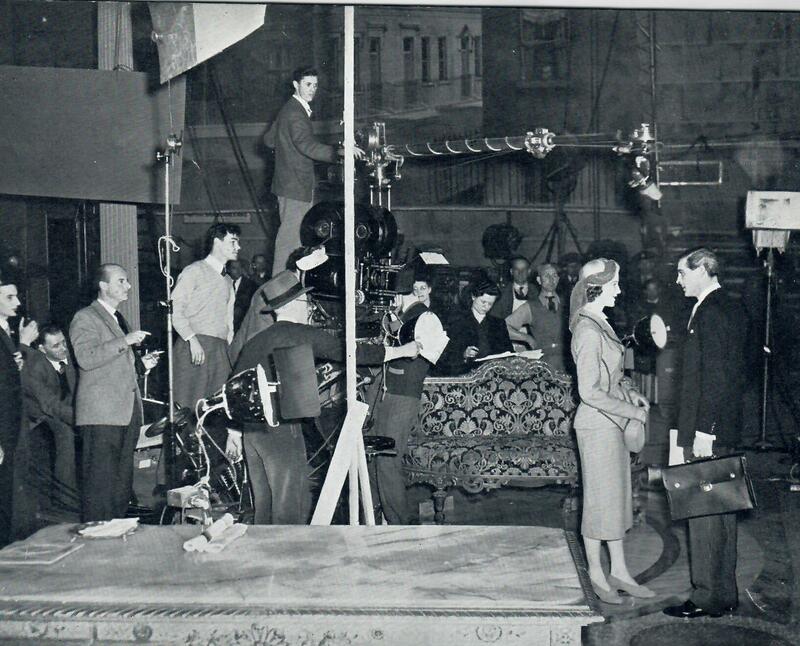 Filming The Womans Angle 1952 – BELOW with rear projection and Edward Underdown looking suitably bored. 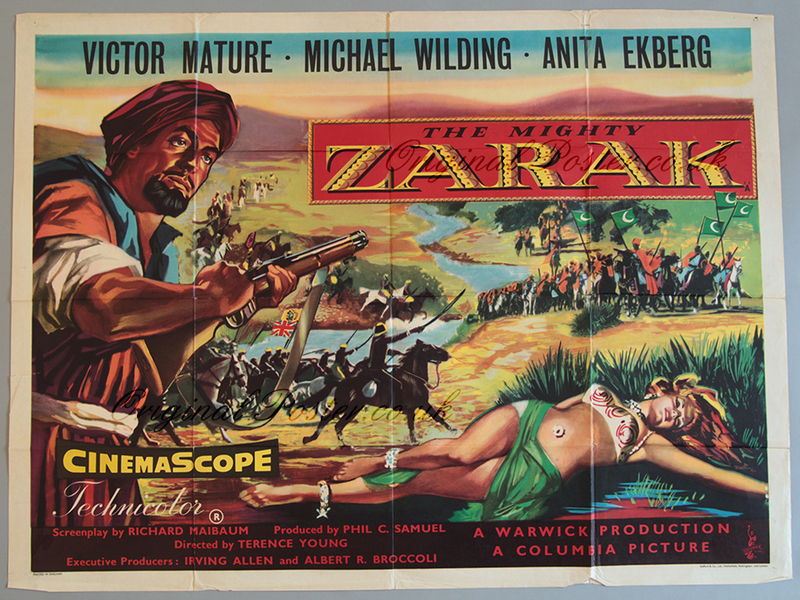 The film Zarak was at the time billed on posters as ‘The Mighty Zarak’ – very impressive to us youngsters at the time. My Dad loved Victor Mature in films and I remember him going to see this one – and he was not disappointed. However what would have troubled him was to read Margaret Hinxman’s review in Picture-goer on 12 January 195- where she gives this film ‘an award for absurdity’. However many of others reviews I see give the film a much better time – it may be better with age. 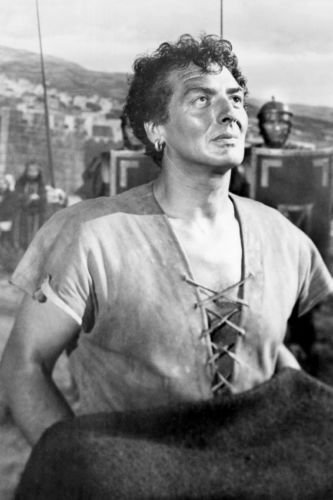 Victor Mature stars as the title character in Zarak. 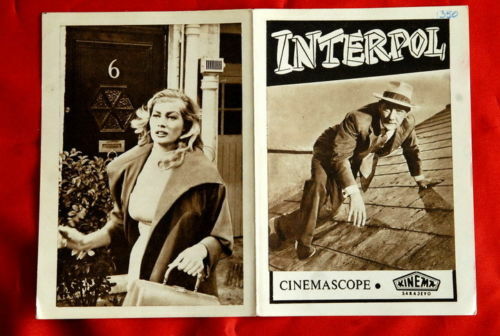 It’s the story of the eldest son of a clan chief who betrays his father with the father’s youngest bride played by the Swedish Anita Ekberg. After being banished from the tribe for this deed, Zarak – Victor Mature – becomes a bandit chief and the scourge of the territory. Michael Wilding is sent to bring in Zarak dead or alive, but other tribes are starting to get restless. Finlay Currie plays a mullah who seems to come in and out of the film at key points He’s quite the saintly figure. 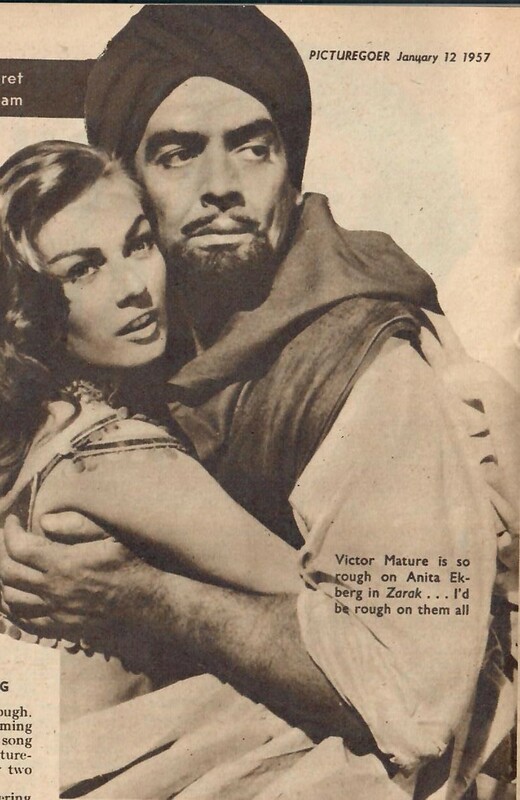 Good action film that fans of Victor Mature ( and I am one of them ) will appreciate. 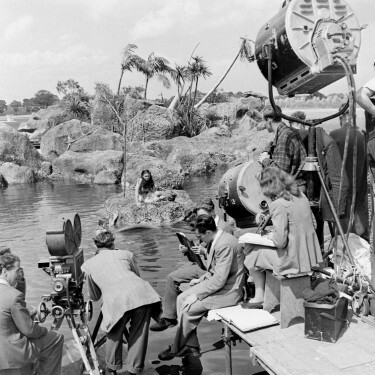 Irving Allen and Albert Broccoli’s Warwick Productions made the film in London and North Africa for Columbia to distribute – and it did quite well at the Box Office. 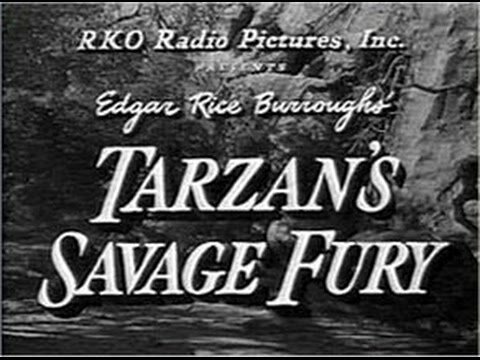 Victor Mature had just finished Safari for Warwick Productions when he made this one. 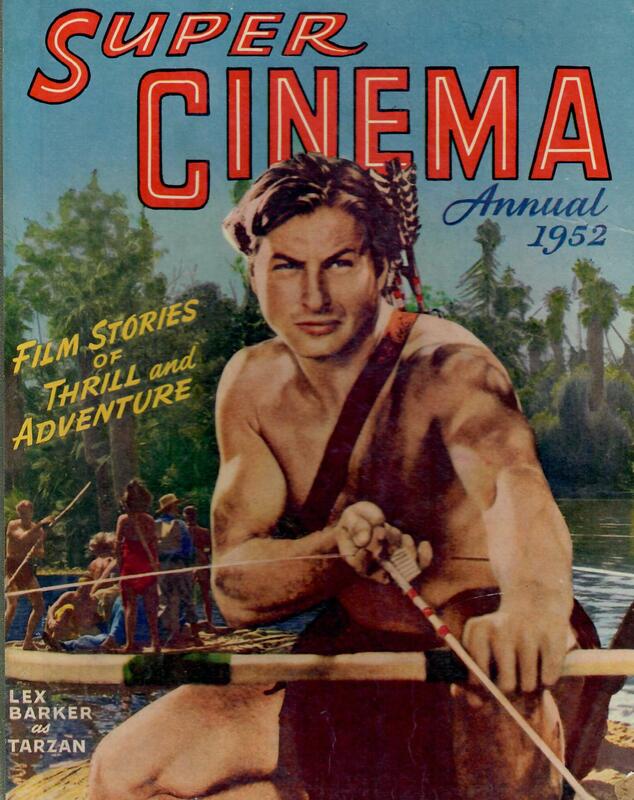 A good Tarzan adventure film, with Lex Barker in the title role. 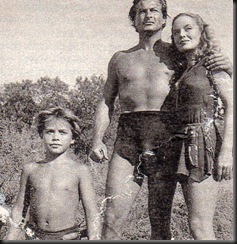 Lex Barker does and did a great job as Tarzan because he just looked the part, and was athletic enough to cope with the demands of this role in five films – I wish he had stayed longer as Tarzan though. There is also a boy character well played by Tommy Carlton -m ABOVE with Lex Barker – and BELOW with a friend on the set of the film. 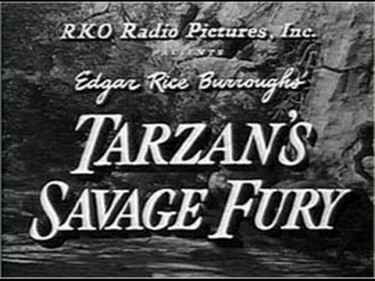 Tarzan’s Savage Fury was one of the only Tarzan films to make reference Tarzan’s background – Tarzan being the Earl of Greystoke. 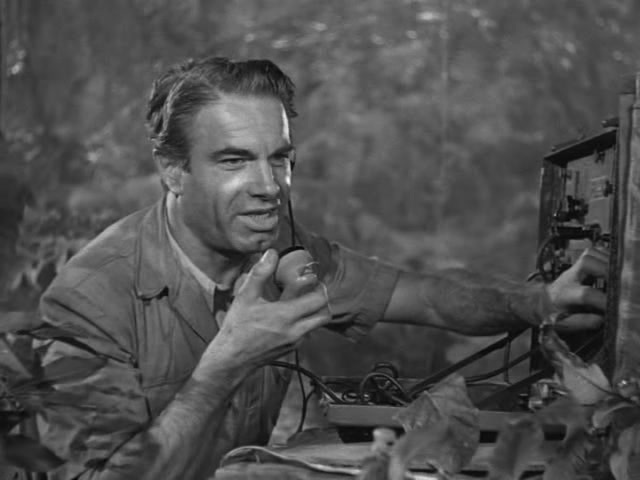 In this story the cousin Greystoke played by Patric Knowles is an imposter who with his guide Charles Korvin comes to see Tarzan. The real Greystoke has been killed at the beginning of the film and Patric Knowles takes his place. The object is to gain access through Tarzan, to a tribe which has a fortune in diamonds which they use in their religious ceremonies. The cast throughout is good. This film is well worth watching for the action and physicality that Lex Barker brings to the Tarzan role, and also for Dorothy Hart’s luminous presence and fine acting. Here in England at the time, was a Television programme Picture Parade on BBC Television – in the very early days of Television, which reviewed new cinema releases. 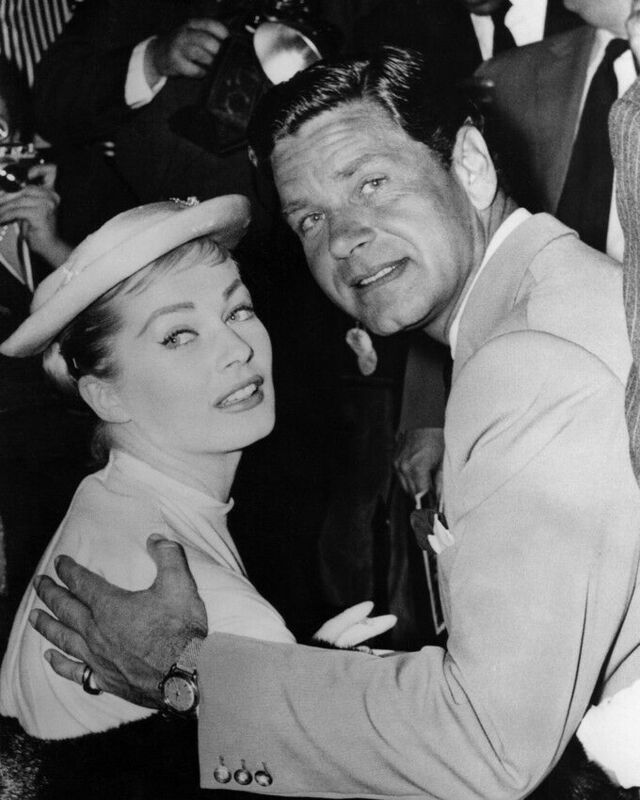 Peter Haigh worked hard to make it popular and included interviews with the likes of John Wayne, Anna Neagle and Joan Crawford. However I do remember him reviewing this film and showing clips from it one night- and as a small boy to see these scenes from a new and exciting Tarzan film was thrilling – I remember it to this day – and even the clip of film which had Tarzan swimming across a river. 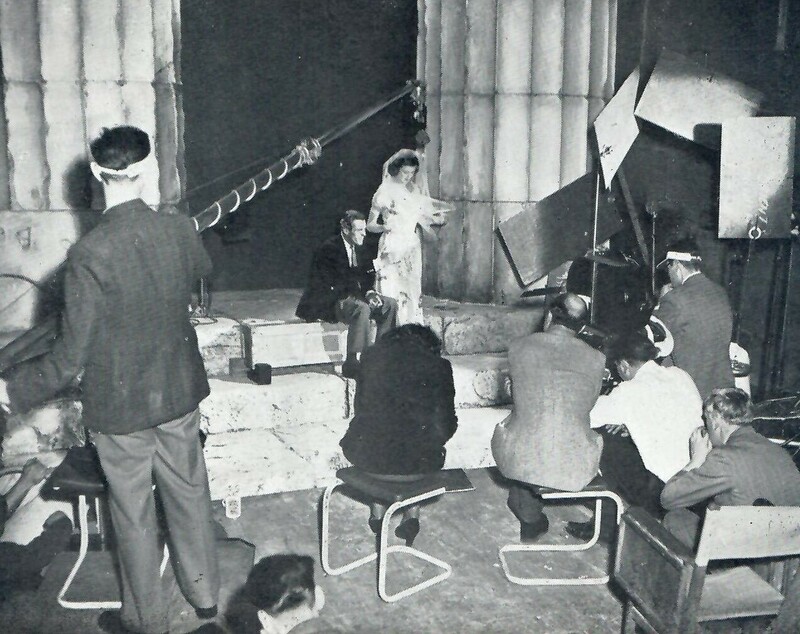 We would not have had our Television set long at the time of the film release – so maybe it is one of my earliest television memories. That of course would be viewed on a 14 inch screen but somehow we just loved it. 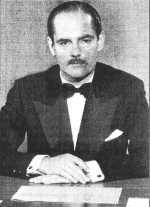 Peter Haigh was replaced in 1962 and went to live in Portugal, where he opened a waterside restaurant. In 1957, he had married the Rank starlet Jill Adams. They had a daughter before they separated. In this film you have top say – just look at the Technicolor – Those Technicolor films in the ’40s and 50s were beautiful, as this one certainly is. For entertainment, you get Fred Astaire dancing, Judy Garland singing, Ann Miller dancing, and Peter Lawford singing. 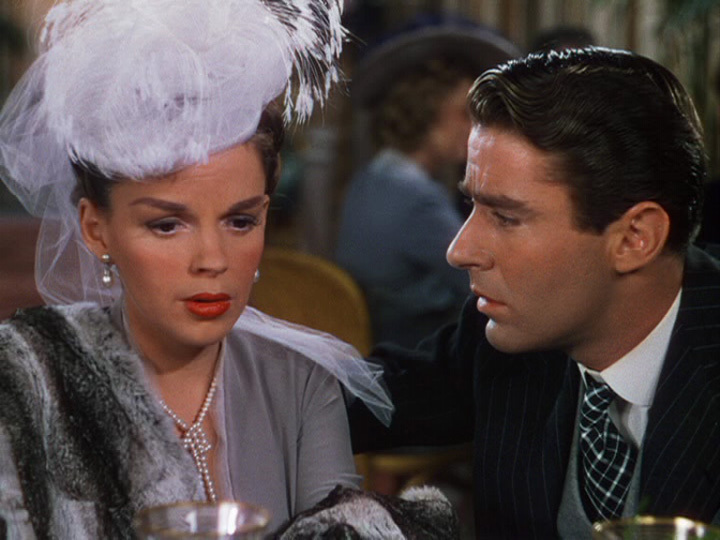 I didn’t know that Peter Lawford could sing, but he’s not bad in this one. 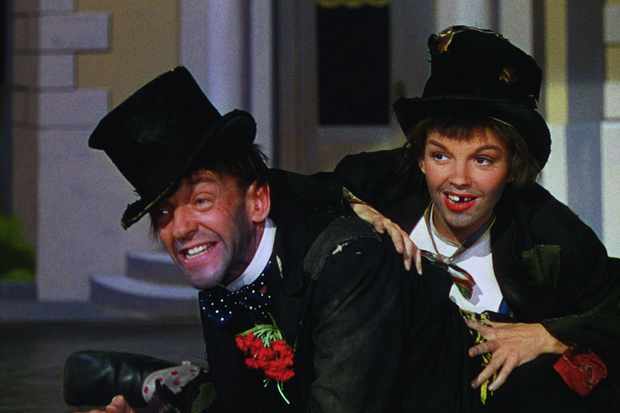 Fred Astaire consistently amazed audiences with his innovative dance routines and smooth style. He does a number here in a toy store that is really something! 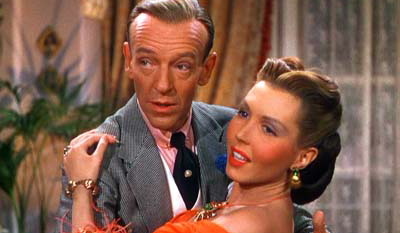 Ann Miller – another wonderful dancer – also gives us a good tap number and Judy Garland’s songs are all winners. 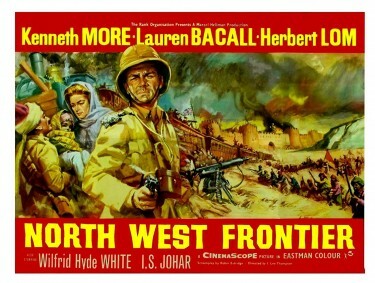 North West Frontier is a suspenseful epic about smuggling a boy prince out of India’s north western province to safety , after his father, the Rajah, is killed in a massive uprising. 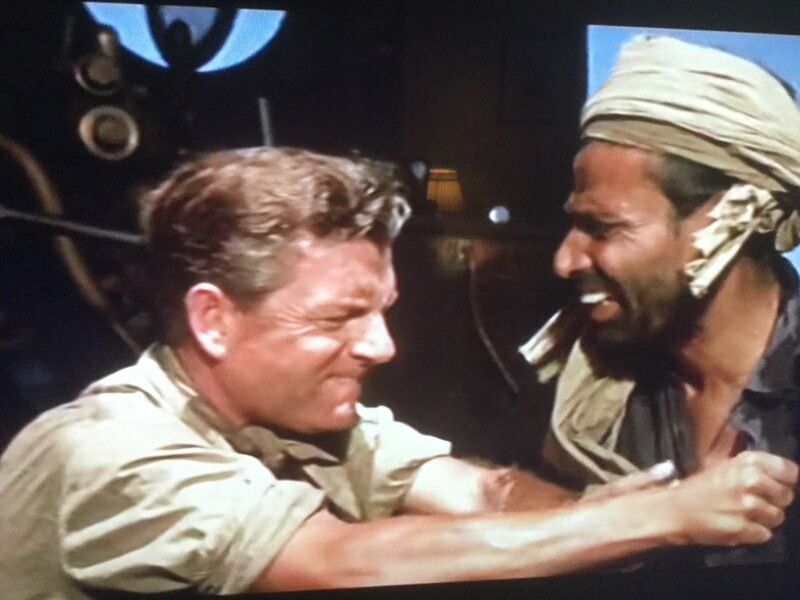 English army officer Captain Scott played by Kenneth More is given last-minute orders to bring the boy out in safety. 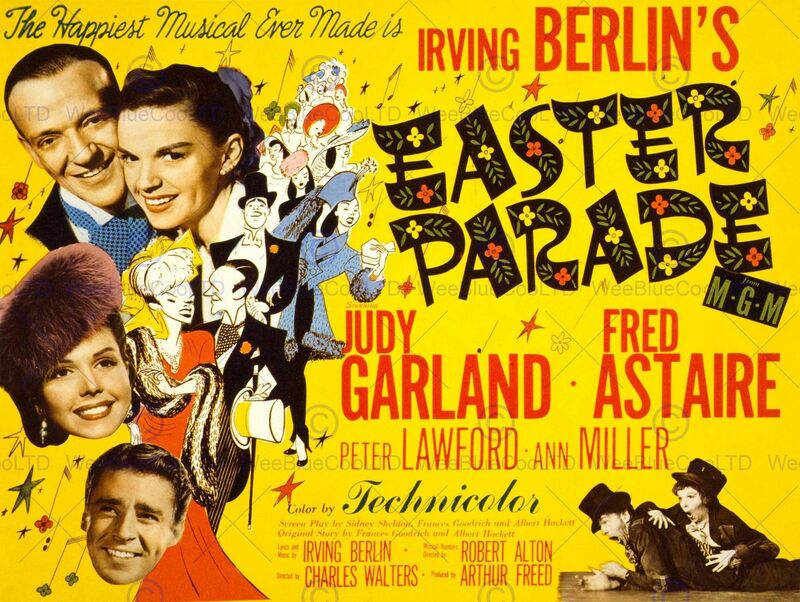 Most of the English population of the area fled prior to the uprising and only the Governor ( Wilfred Hyde-White ), his wife ( Ursula Jeans ), the prince’s American governess ( Lauren Bacall ), a Dutch/Indian news reporter ( Herbert Lom ) and a French gun dealer ( I.S. Johar ) remain, all of whom ask for Captain Scott’s assistance in their flight for safety. 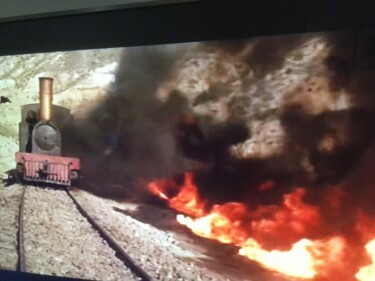 Gupta, the engineer of the locomotive has great faith in “his fine lady”, and assures the Captain that Victoria will be suitable for the mission. 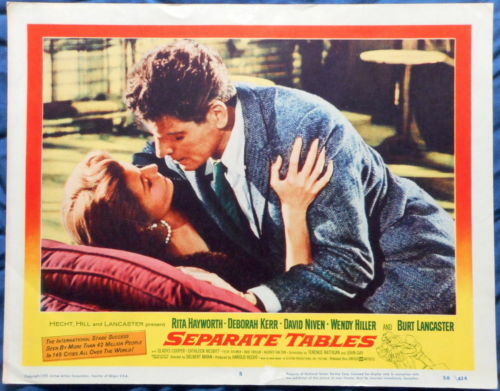 When the film was released in the UK, Kenneth More received top billing for his performance as the Captain but on the USA release, he was second billed to Lauren Bacall. 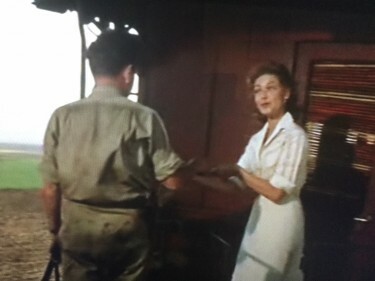 Lauren Bacall is excellent as usual and perfectly suited as the head-strong American woman who likes to speak her mind, and who slowly falls in love with the storybook correct Captain Scott. Yes this is British Cinema at it`s best, a rousing picture with all the right ingredients, lots of ‘goodies’, a real ‘baddie’, and a dashing hero, with a fiesty female lead in the form of Lauren Bacall. Kenneth More is as always top rate, but it is the wonderful I.S.Johor who steals the show as the train driver. He is just brilliant. 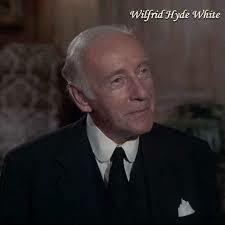 Wilfred Hyde White is well cast as the British Diplomat, and Herbert Lom as as bad a baddie as you would ever want to see. 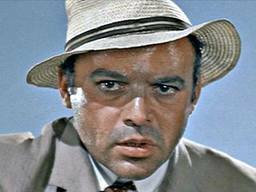 Herbert Lom as as bad a baddie as you would ever want to see. This was a big film – and went equally big at the Box Office. I remember my Father taking us to see it on the huge Cinemascope Screen – with Stereophonic Sound – and it did not disappoint in any way. 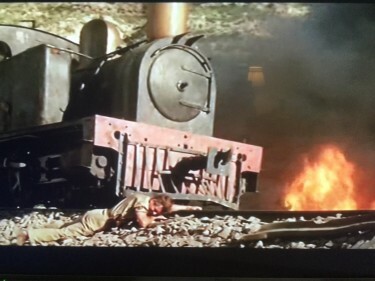 Tremendous Film. 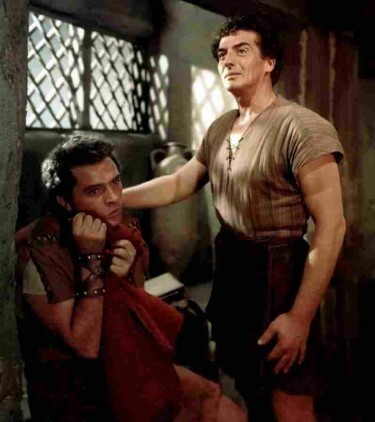 Richard Burton spoke very highly of Victor Mature calling him a ‘wonderful man’ – and I have to say that he lifted the acting honours with his convincing performance. 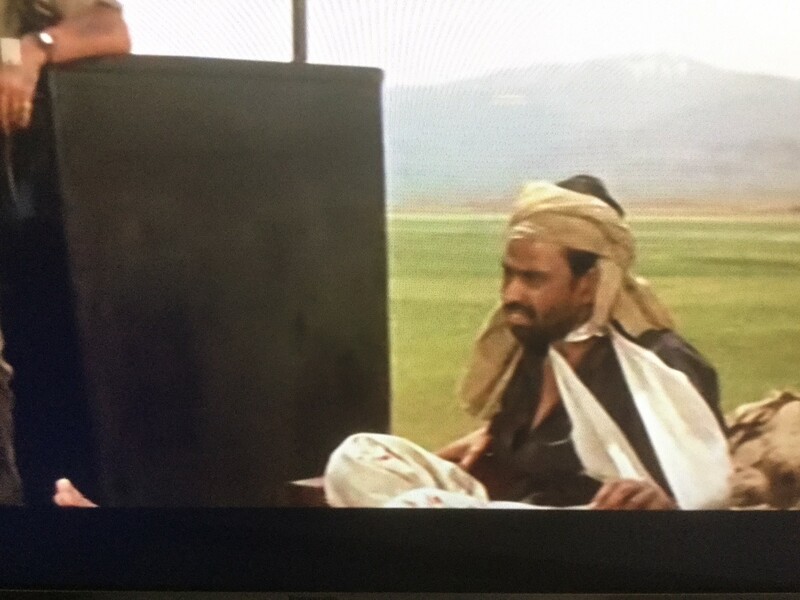 He was a very good film actor. 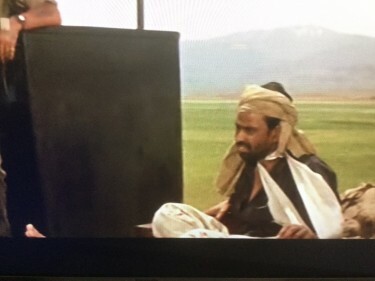 He was also well loved by film producers – the reason for that was that when he was in a film it usually made money and that tends to add a sparkle to the eyes of such people. 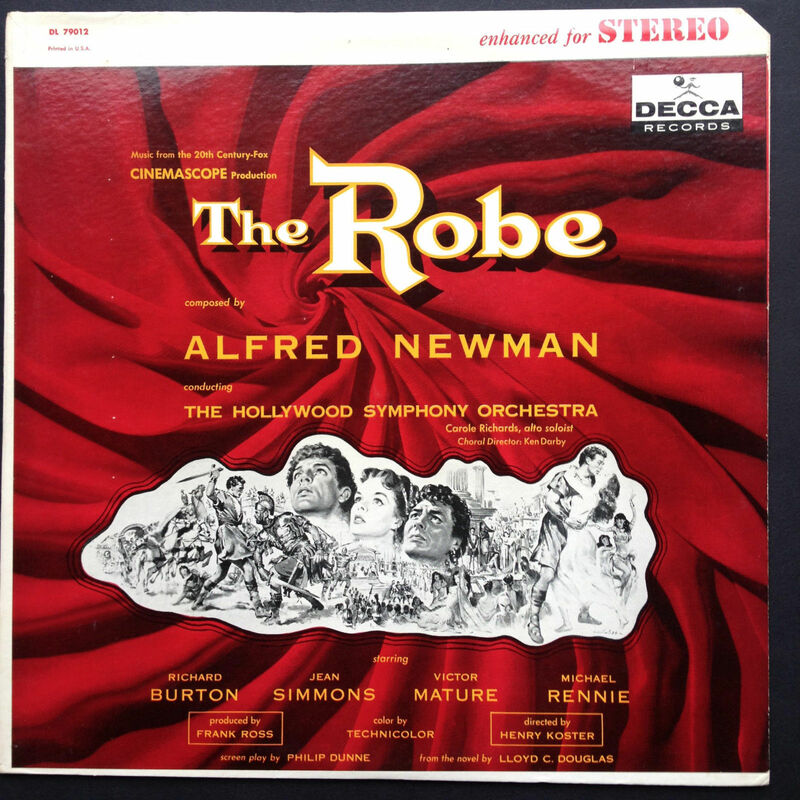 The Alfred Newman music from the film – a record release. Interesting item above which I spotted for sale - at this time and later, it was possible to buy 8 mm home movies with scenes straight from the film. I have one of Treasure Island and one of The Story of Robin Hood and His Merrie Men – both from Walt Disney – but I have not got this one. 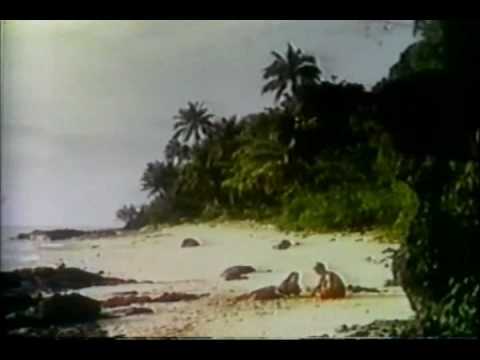 These were only short films of maybe 5 to 10 minutes with selected scenes and with no sound on some of them. 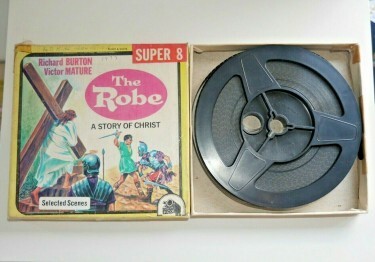 I don’t think the two Walt Disney films I have , have any sound. 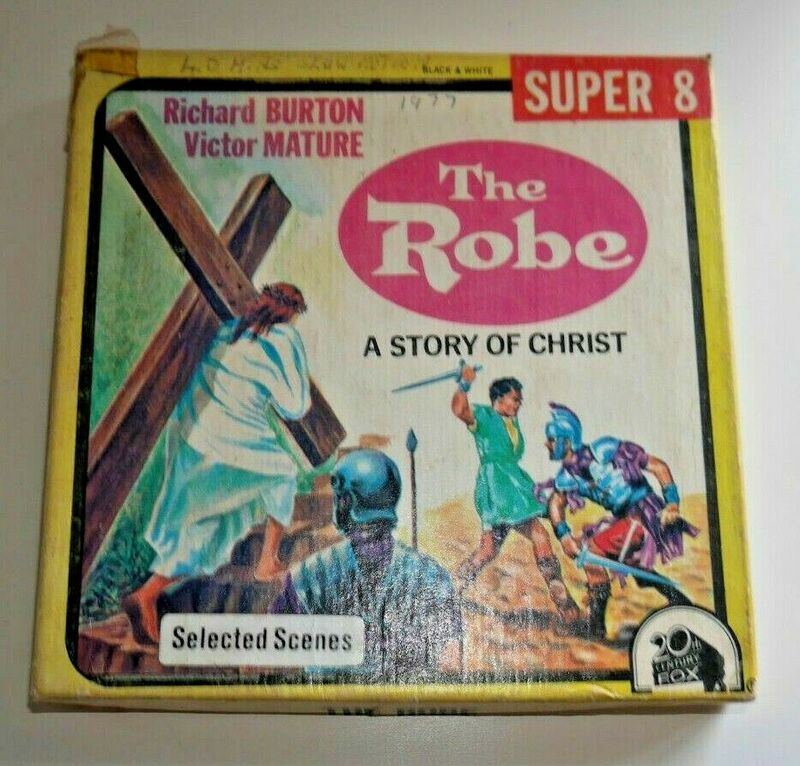 I have to admit that this is not a film I know, but I feel I should know it. Glenn Ford and Rita Hayworth made five films together, but it is usually only Gilda that people talk about. Their first film was before World War II, The Lady in Question where both are young Columbia contract players who were in the same film and no effort was made to bill them as a team. The Loves of Carmen which was made after Gilda was a disaster for Glenn Ford, though Rita Hayworth was at her best. 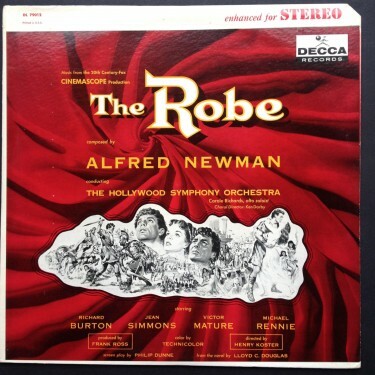 The above advertisement is being offered for sale at quite a large price which surprised me. Apparently it is an original poster from the film release. 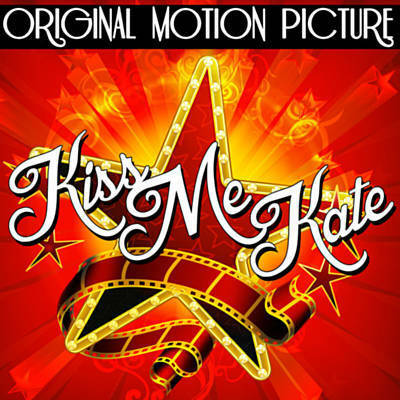 Rita Hayworth also made films such as Only Angels Have Wings and The Strawberry Blonde. 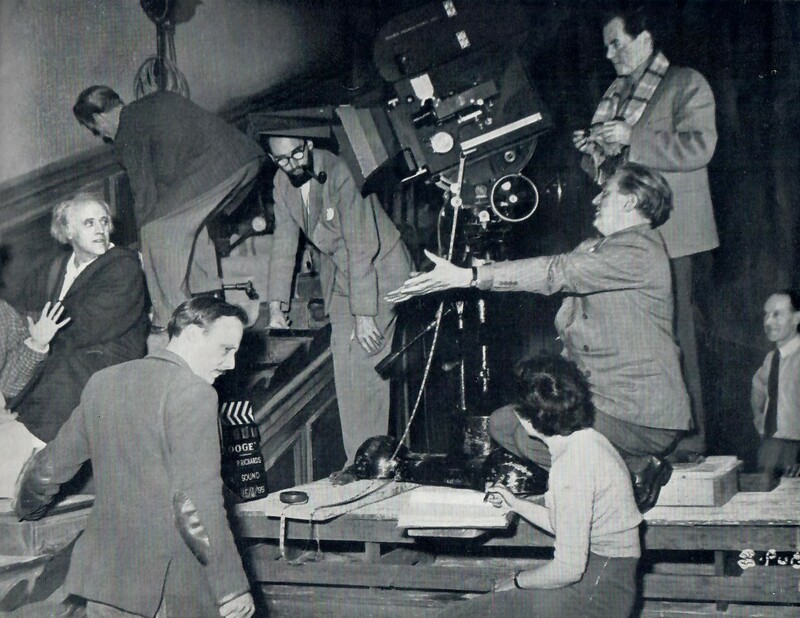 The Lady From Shanghai – for which ex-husband Orson Welles hacked off her flame-red hair then bleached the remnants platinum blonde – was the film in which she was at her most heartbreakingly beautiful. 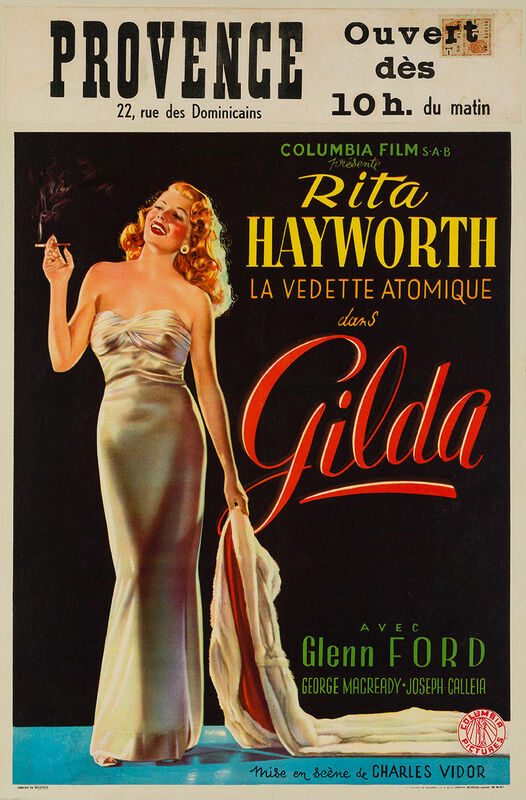 Rita Hayworth was one of the USA s most beloved stars. 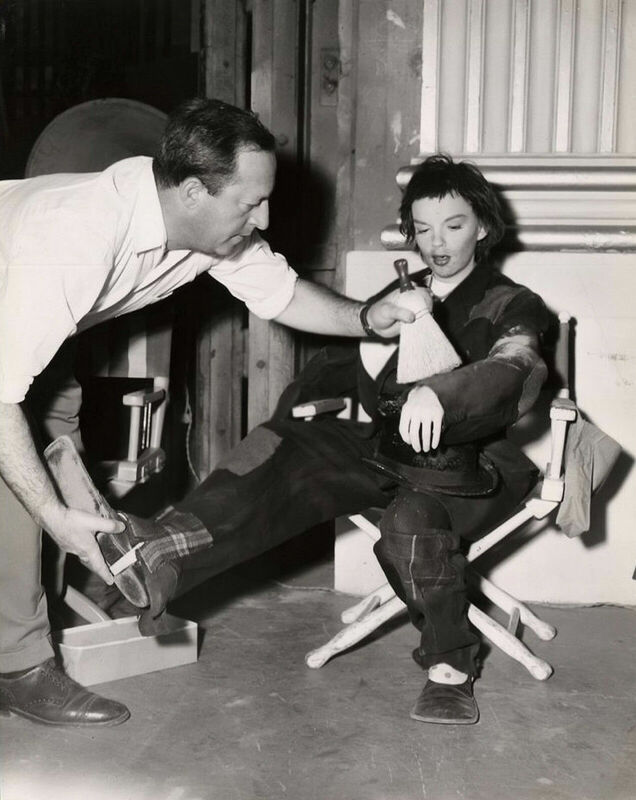 Glamorous and talented, she gaves many wonderful moments on stage and screen and delighted audiences from the time she was a young girl. In her later years, Rita became known for her struggle with Alzheimer’s disease. 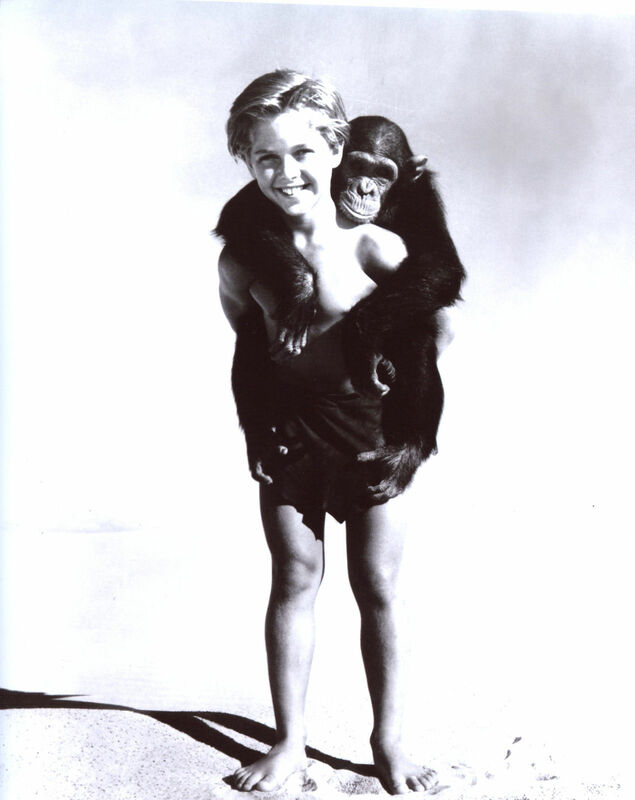 Not long after Shane (1953), Alan Ladd left Paramount, the studio that made him a star, and launched his independent company, Jaguar Productions. 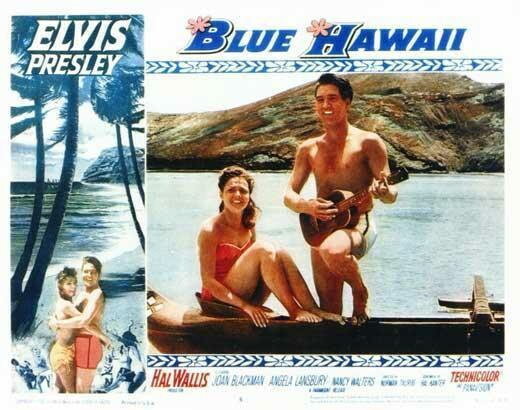 This was their first film. 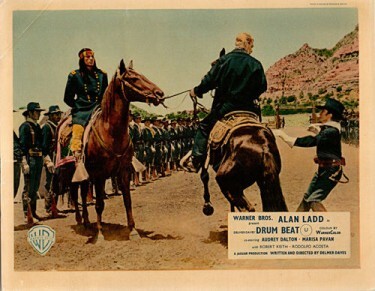 Here Alan Ladd plays an Indian fighter recruited by President Grant to find a way to peace with the Modoc. 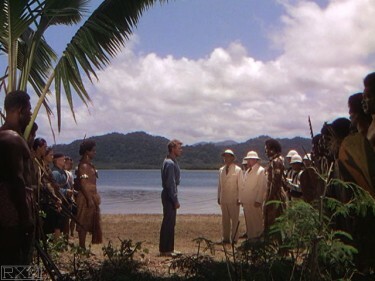 However the tribe wants peace, but a chief named Captain Jack (Charles Bronson) and his band of renegades are causing problems and despite repeated attempts for a peaceful resolution that does not happen, and consequently we get a very exciting end to the film. Alan Ladd and Delmer Daves shot Drum Beat in Warnercolor and CinemaScope. 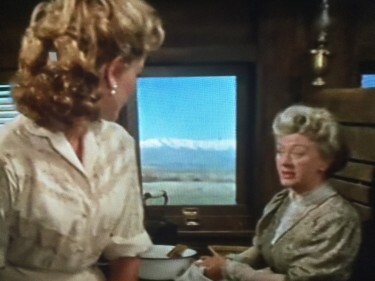 As with Cinemascope at that time, they avoided close-ups, went for long takes whenever possible, and gave us lots of gorgeous vistas of Sonora, Arizona, and the Coconino National Forest. 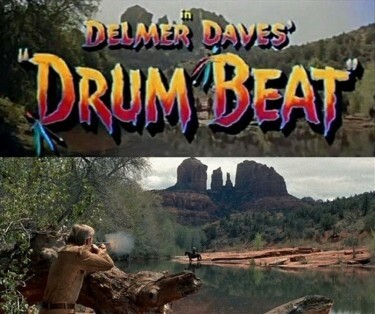 Delmer Daves always showed off the landscape in his Westerns, making each setting an essential element of the film, and none more so than in Drum Beat – my own view is that in this respect ‘The Last Wagon’ made a couple of years later showed the scenery at least as well. 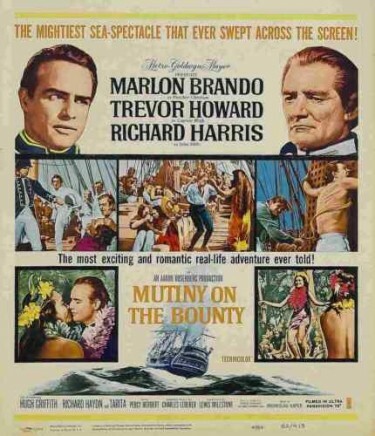 Charles Bronson makes quite an impression as Captain Jack in his first film under his new name (it had been Buchinsky, which was considered too Russian-sounding at the time). Alan Ladd and Delmer Daves reunited for The Badlanders (1958), also available from Warner Archive. Alan Ladd with Marisa Pavan who plays an Indian maiden – also keen on Alan Ladd. This western is one of Alan Ladd’s best films - he is the peace commissioner turned Indian fighter who finally brings peace in the far west. The film is based on factual events as Modoc boss Captain Jack ignores repeated overtures for peace and leaves the cavalry no choice but to resort to arms to stop the killing and outrages. Alan Ladd and Charles Bronson, the Indian leader Captain Jack, make fine adversaries and the film has lots of action and beautiful scenery. 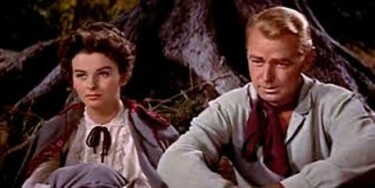 A great cast of western favorites are in this film and Alan Ladd even has a moment or two to hold pretty Audrey Dalton in his arms. Delmer Daves directed this film, which is another in a succession of excellent Delmer Daves Westerns – just think of one of my own favourites just after this ‘The Last Wagon. 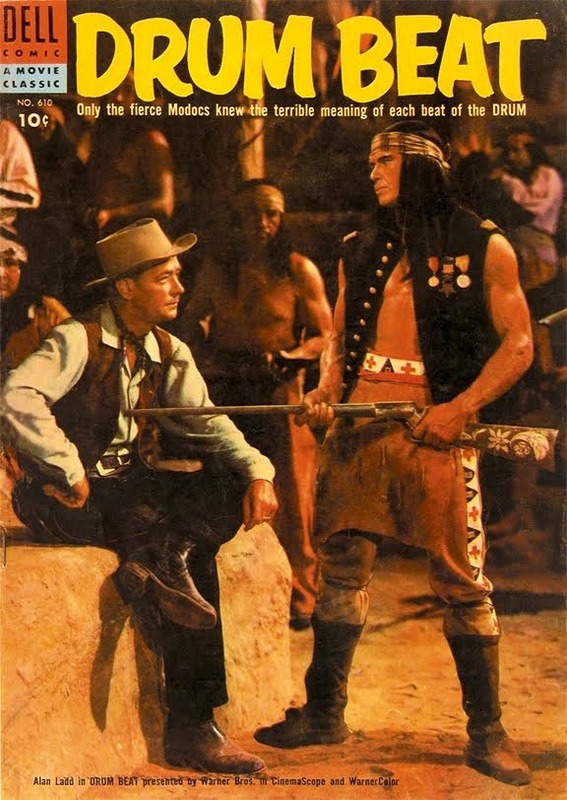 The Western career of Alan Ladd (1913 – 1964) Alan Ladd was very well known as a Western star, notably of course because of Shane. 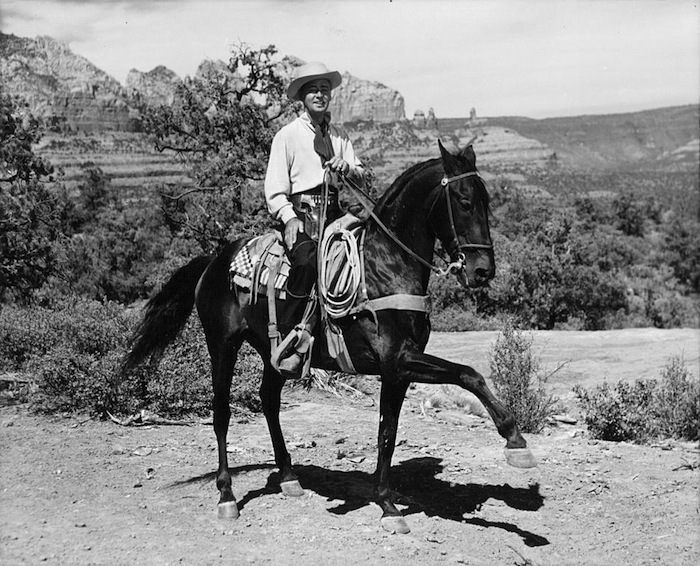 In fact though, his Western career was relatively limited: he was in 13 Westerns in all. He had a minor part as a ranch hand (blink and you’ll miss him) in The Light of Western Stars in 1940 and first had a lead part, alongside Robert Preston, in a Western in Whispering Smith in 1948, when he was 35. 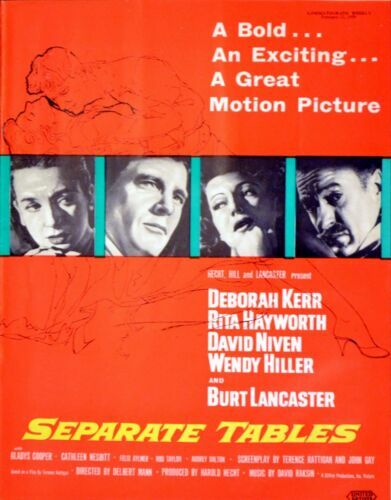 Then came Branded, not bad, in 1950, and Red Mountain, a Civil War drama, quite a gripper, in 1951. In early 1952 he starred as Jim Bowie in The Iron Mistress before becoming world famous in one of the best-known Westerns of them all, Shane. After Shane, there was nothing as remarkable. In 1954, Saskatchewan was a Canadian Western, if such a thing exists, and Drum Beat was a kind of remake of Broken Arrow, though not nearly as good. 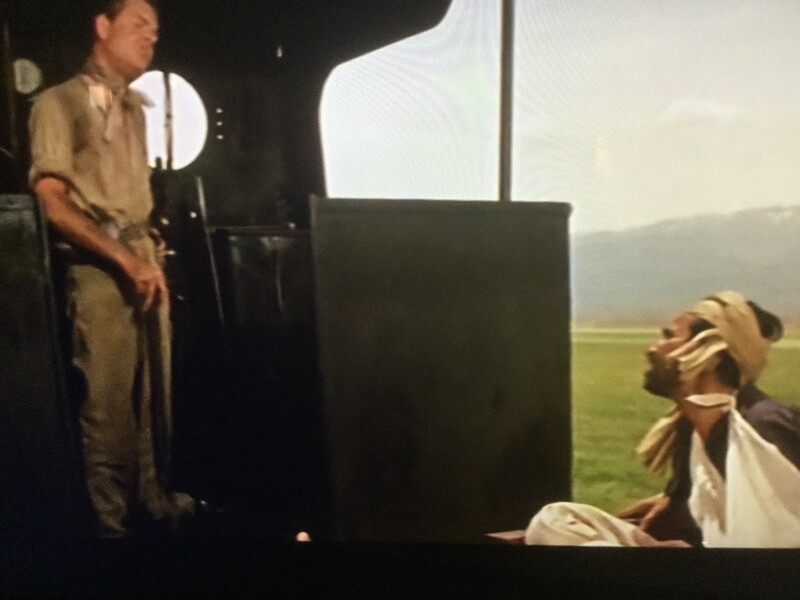 In the late 50s, we had in 1957 The Big Land, a rather turgid big-budget plodder about Ladd building a frontier town, and his best late Western, Proud Rebel, in 1958, which he made with his son David. 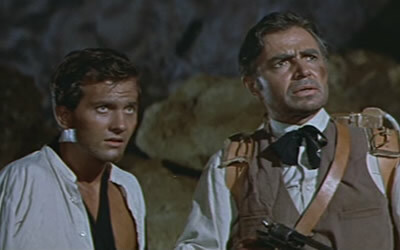 There followed a so-so Western heist movie with Ernest Borgnine the same year, The Badlanders, and two late, rather B westerns in 1960, Guns of the Timberland and One Foot in Hell, in which he did not look well at all. So really Ladd’s Western career lasted little more than a decade from Whispering Smith to The Badlanders, 1948 – 58, with a PS of a couple of B movies at the end of the 50s. 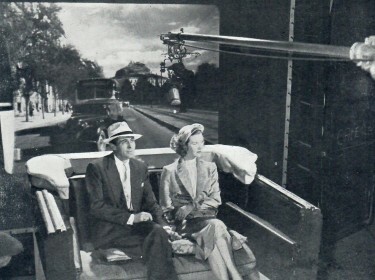 Nevertheless, Ladd was extremely famous: from 1948-1950, in a poll of movie fans organized by the Motion Picture Herald, he ranked number one. He was mobbed by (female) fans at guest appearances on network radio programs such as The Lux Radio Theater and in the 1940s his films grossed almost $55 million, big bucks in those days. 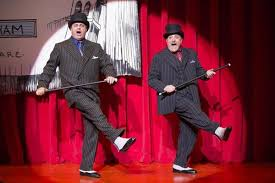 His appearances in gangster movies in particular were greatly admired. 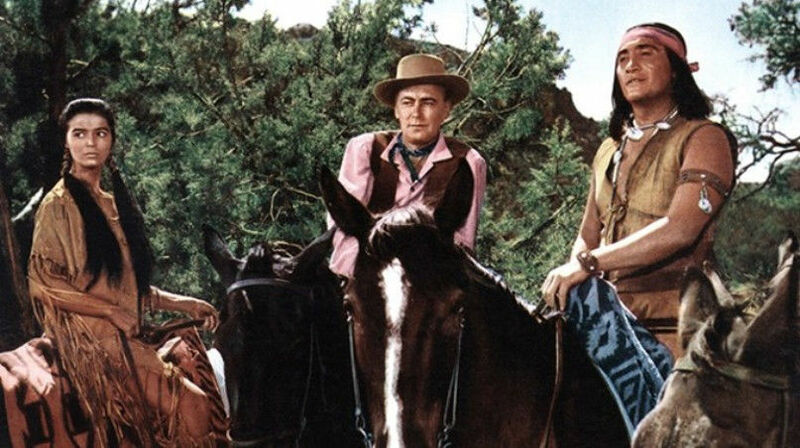 And as far as Westerns were concerned, Shane put him (rather to his own surprise) right up there with the great cowboy actors. 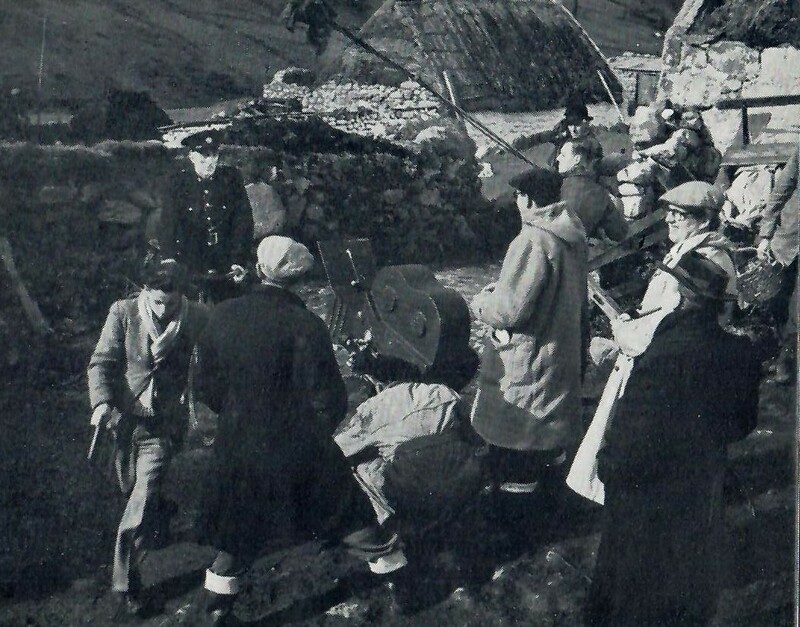 As Ladd himself would have been the first to admit, he was never really cut out for such roles. Nicknamed ‘Tiny’ in his youth and standing at 5 foot 6 inches, he didn’t have the stature. His good looks were almost feminine rather than rugged and his blond coiffed hairstyle didn’t suit. 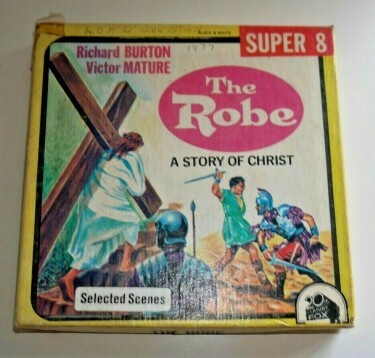 He looked awkward in Western clothes – they were too obviously costumes. He seemed a gentle man at heart and was fine in Shane romancing Marian, dancing elegantly with the frontier woman and charming her with his good manners, but when it came to fist-fighting in the saloon, he didn’t convince at all. I have always thought Shane a fine film but fatally flawed by Ladd’s performance. It needed Coop, Peck or Fonda. Someone gutsy yet quietly underplaying. 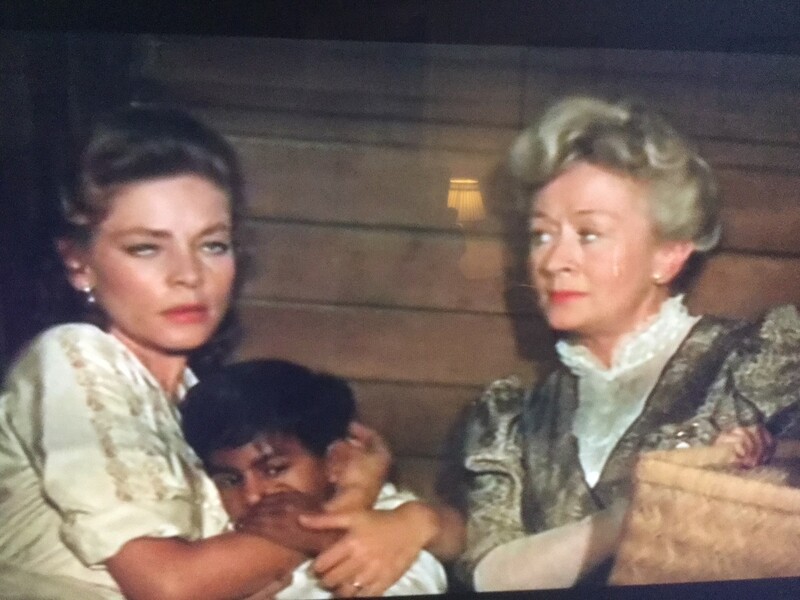 Not that you don’t have sympathy for Alan Ladd. He comes across as a very nice man. Just not right as the lone, tough Western hero. He was a rather sad person in many ways. Alcohol, depression and insomnia loomed large in his life. His mother was a depressive who had committed suicide by poison. He too may have attempted to kill himself. When he was asked in a 1961 interview, “What would you change about yourself if you could?” he replied brusquely, “Everything.” He died aged only 50 of an acute overdose of “alcohol and three other drugs”. 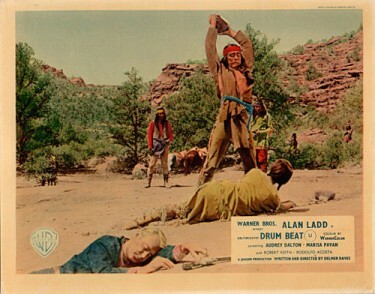 We’ve already reviewed Shane on this blog and referred to it often (it is a sort of paradigm) and we also discussed The Iron Mistress (only a semi-Western anyway) but in the next few days we’ll look at Ladd’s other Westerns. Well now, in Film terms that seems like an unlikely mix – but a mix it was as I will explain. I took out an old Audio Tape which I had used a number of years ago to record a Memories Programme from what was then Great Yorkshire Gold. 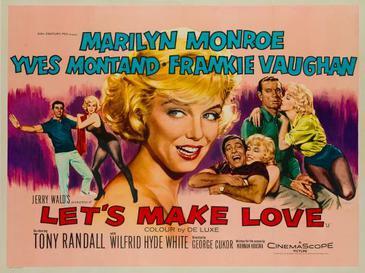 The first song was Frankie Vaughan with The Heart of a Man – that was the song title and the film title too – I can remember my brother and I went to see it at one of the cinemas in St.Albans where we often stayed, to see this film. 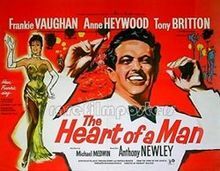 This was really a rags-to-riches story, a part with Frankie Vaughan in mind , although we also had Anthony Newley and Anne Heywood. Tony Britton carries off the role of the upper-class criminal with ease, and there’s good supporting performances from Michael Medwin and Harry Fowler as two of his henchmen. 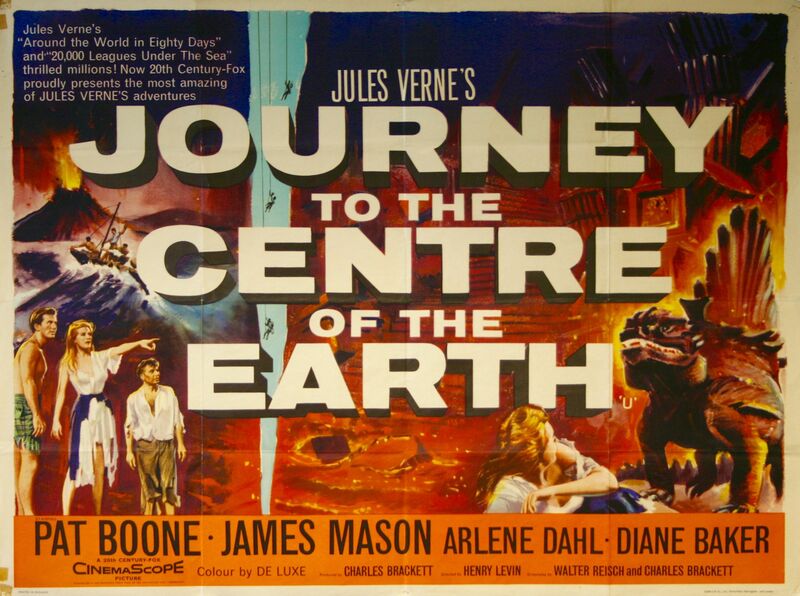 and lastly Pat Boone singing ‘I’ll Be Home’ Pat had quite a good film career but the one I remember best was ‘Journey to the Centre of the Earth with James Mason and Arlene Dahl. 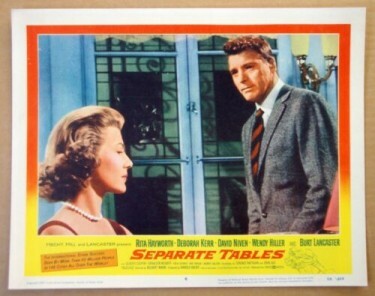 This was a big Cinemascope production. 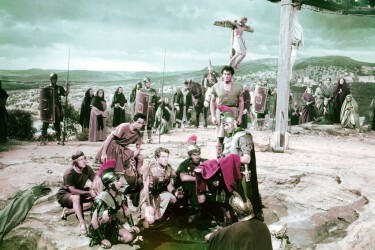 It took $10 million at the Box Office – so a resounding success. 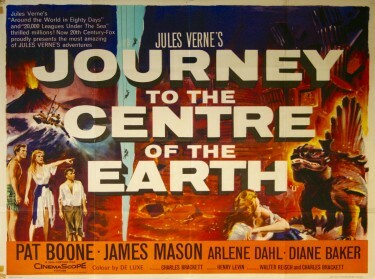 This is the first and best version of Journey To the Centre of the Earth has been made several times since this 1959 release. 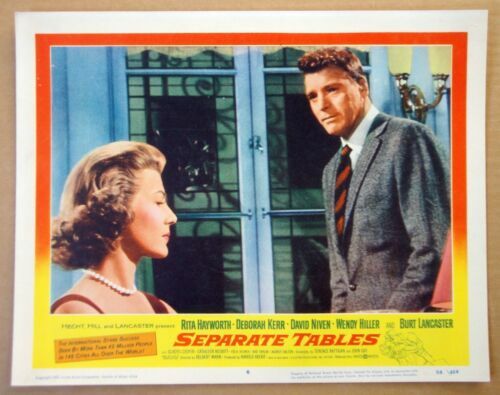 The cast is excellent too with James Mason, Pat Boone (who also sings), Arlene Dahl – all of them in the pictures above.